For nearly 20 years, the residents of Knoxville, Maryville and the surrounding area have known that James H. Snyder Jr. will provide experienced, professional legal representation for complex, messy, contested divorces and post-divorce matters. Whether the case involves complex financial matters or personal matters such as child custody, visitation and child support, Mr. Snyder provides the highest level of representation for people who have a lot to lose. James H. Snyder Jr. brings the same attention to detail to the prompt professional resolution of "simple" legal matters such as uncontested divorces, step-parent adoptions, and probate matters, which may not involve litigation, but if they are not initially done right, they may result in extensive problems later. It pays to make sure things are done right the first time. Whether a delicate family law matter, a recent arrest or an estate planning matter, you can turn to the experienced attorney at the Law Office of James H. Snyder, Jr.
Mr. Snyder will take the time to understand your challenge before creating a plan to help you reach your legal goal. And, while he limits the number of other matters which he accepts, as a prosecutor for six years and a judicial law clerk at the Tennessee Court of Criminal Appeals for over two years, Mr. Snyder brings both expertise and experience to the criminal defense cases which he accepts, including DUI, drug offenses, misdemeanors and felonies. While Mr. Snyder's practice is located in Blount County, Tennessee, he handles cases in Knox, Loudon, Monroe, and Roane Counties. His law office actually has the Maryville/Alcoa city limits go through it! 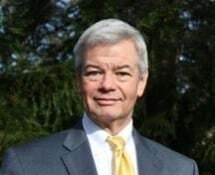 Mr. Snyder began his legal career in 1988 after earning his law degree from University of Tennessee College of Law and his approval to practice law in the state of Tennessee. After graduating, he spent over a year as a law clerk to a court of criminal appeals judge before joining the Tennessee District Attorney's Office for the 5th Judicial District. Attorney Snyder opened his law office in 1996. Each position has provided him with valuable experience that benefits his clients today.